Table 1. Main contributions from the included articles. Table 2. Categories of social cost of drugs: direct, indirect and intangible costs. Table 3. Proposed frameworks for the estimation of the social cost of drugs. To systematically review guidance documents for the estimation of the social cost of illegal drugs, and to define standards for this estimation. A systematic literature search was conducted between April and May 2015 and updated in November 2015. Pubmed, Scopus, and Google Scholar were searched. Studies were included only if they provided indications of analytical methods for calculating the social cost of illegal drugs consumption. A total of 21 papers were selected for a final review. Four main areas of discussion were identified: a) alternative theories for the framework design; b) basic concepts definition; c) theoretical issues in the application of the framework and; d) definition of the cost matrix and its elements. The review exercise enabled the definition of two analytical approaches, which are proposed as references for estimation in the field. although social cost is a well-established method in the literature, there is a lack of agreement on the most appropriate approaches in the area of estimation of the social cost of illegal drugs consumption. Moreover, the two analytical approaches proposed are aimed at promoting more research focused at sophisticating the methodology in the field. Revisar sistemáticamente las guías para la estimación del coste social del consumo de drogas ilegales y definir estándares para su estimación. La búsqueda sistemática de la literatura se realizó entre abril y mayo de 2015, y se actualizó en noviembre de 2015. Se realizaron búsquedas en Pubmed, Scopus y Google Scholar. 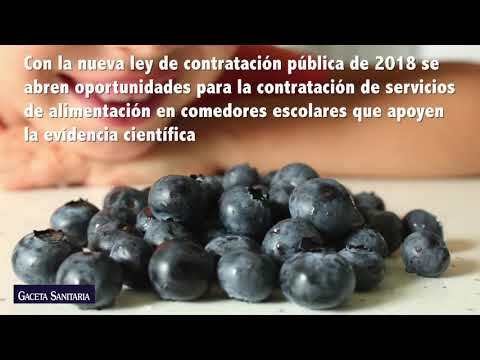 Los estudios se incluyeron solo si explicitaban los métodos analíticos para calcular el coste social del consumo de drogas ilegales. Se seleccionaron 21 trabajos para su revisión final. Se identificaron cuatro áreas principales de discusión: a) teorías alternativas para el diseño del marco; b) definición de conceptos básicos; c) aspectos teóricos en la aplicación del marco; y d) definición de la matriz de costes y sus elementos. El ejercicio de revisión permitió la definición de dos enfoques analíticos, que se proponen como referencia para estimación en este campo. Aunque el coste social es un método bien establecido en la literatura, existe falta de acuerdo sobre los enfoques más apropiados en su aplicación al consumo de drogas ilegales. Los dos enfoques analíticos propuestos tienen como objetivo promover una mayor investigación enfocada a mejorar la metodología en este campo. Drug addiction directly accounted for 20 million disability adjusted life years (DALY) in 2010, accounting for 0.8% of global all-cause DALY.1 The proportion attributed to drug dependence is increased in countries with the highest income. Therefore, knowing the social costs that illegal drugs impose on society is key in policy planning and evaluation. In particular, the objective of this work in the context of the LEADER project is to review published guidelines for the estimation of the social costs of illegal drugs, identify the main controversies and the differences between the proposed approaches, discuss on the impact of adopting one or another and to provide a framework for future studies. Online databases (Scopus, PubMed and Google Scholar for the grey literature) were searched for published articles on guidelines for estimating the social cost of illegal drug consumption (see Annex 1 for the search strategy). The search generated 162 references. After the exclusion of 10 duplicates, a total of 152 papers were identified. Only those papers whose abstract seemed aligned with the review purpose were selected. After this review, 38 papers were selected and read in their entirety. At this stage, three inclusion criteria were used: 1) the study provides guidance regarding the estimation of social cost of illegal drugs and/or a related theoretical issue; 2) the study was published between 1990 and 2015; and 3) the study is written in English. After this review, 27 papers were discarded and 11 excluded. For the final review, two exclusion criteria were used: 1) the paper includes only primary data analysis, thus did not provide theoretical explanations on the method/s adopted; and 2) for each component of its framework, the paper did not compare available methodological alternative and doesn’t explicit the rationale for adopted approach. After this final stage, 21 papers were finally selected. The final systematic review was conducted in line with Preferred Reporting Items for Systematic Reviews and Meta-Analyses (PRISMA) guidelines12 (Fig. 1). Preferred reporting items for systematic reviews and meta-analyses PRISMA flow diagram summarizing article identification and selection. The 21 articles included are listed in Table 1, and their main contributions to the debate are listed. The results of the review are described below grouped in the four areas of debate that have been identified as crucial in field of the estimation of the social cost of illegal drugs. Main contributions from the included articles. Godfrey et al., 200217 Provide an overview of the costing methodology and present estimates of social cost of drugs in England and Wales for 2000 Economic quantification of the social cost of drug use in England and Wales, year 2000 Description of demographic approach. Kopp, 20014 Review of methodologies for devising an indicator of drugs social costs Review and estimation of the cost of substance use in France. 1. Review of the principal methodological issue in framework developing. Pacula et al., 20097 Present framework and estimation for social cost of drugs calculation with a focus on consuming nations Conceptualization of a model to quantify costs of drug use and its comparison between countries. Inclusion of intangible cost using quality of life approach. Presentation of alternative methodologies for solving methodological and research development issues Theoretical and practical estimation of social cost of drug use: including treatment, prevention, research, law enforcement and lost productivity 1. Analysis of main issues in framework development. One of the COI's main controversies is the definition of the counterfactual, i.e., the alternative scenario that should be used for opportunity cost assessment.15 The cases of a world with no drug or a switch towards either a lower level of consumption or other substances are equally plausible in theory.5 The use of “zero consumption” as a counterfactual is the most common choice. Another point of debate regarding COI is that uncertainty is not adequately accounted for,16 so different counterfactual scenarios have been defined for three types of illegal drug users: recreational users, older regular users, and problematic users.17 Additionally, sensitivity analysis has been adopted as a method for taking into account uncertainty. One of the most widespread categorisations of the social cost of drugs is represented by the dichotomy between tangible and intangible cost.20 When reduced, tangible costs yield new available resources; Intangible costs don’t. Intangible costs include items such as pain and suffering. Due to their nature, they are difficult to quantify and they are rarely included in the estimation. Within tangible cost, one can distinguish between direct and indirect costs.4 The first category includes costs which are clearly and directly associated with illegal drug consumption, as healthcare costs for treating addiction; the second is related to consequences that are not directly connected with consumption, as productivity losses (Table 2). Categories of social cost of drugs: direct, indirect and intangible costs. Another criterion for social cost categorisation identifies three main categories.4,5 Private costs, as the costs borne only by an individual, in this case the illegal substance user (e.g., money spent for buying substances); public costs, i.e. expenditures incurred by central and local government in relation to psychotropic substances use, as is the case of healthcare and treatment costs in universalistic national health services; and external costs or externalities, referring to those public costs that are generated by the individual making the consumption decision but external to the same individual. While the pertinence of the last two categories is acknowledged, inclusion of private cost has been highly debated. Its exclusion has been justified by the assumption of the rationality of drug users, and criticized given that drug users’ behaviour may be determined by the irrationality produced by addictions, thus violating the rationality postulate.5 Moreover, private decisions within the drug consumption and addiction context do have consequences and generate costs that are not limited to consumers themselves.5 This would justify the inclusion of part of the private cost in social cost, but it remains unclear which part of it and how it should be calculated. A method for identifying avoidable cost is attributable fraction.22 Together with attributable fractions, the estimation of the potential impact of policies around illegal drugs must take into account the lowest achievable level of substance use that policies should be expected to realistically aim for, which the literature terms the feasible minimum.19 Given its objective, feasible minimum can be of help in the execution of cost-benefit analysis, as it provides a method for better defining the cost and consequences that an addiction policy aims to contrast. The classical approach, which derives feasible minimum from each population's exposure to an illness-specific risk factor. This approach is retrospective, as it is based on population exposure in the past, and uses the hypothesis of no exposure. as the counterfactual. It is based on the assumption that, for each population, “a level of disease that might be reasonably achieved if only we all know that which might be reasonably known about the causes of the disease in question” can be identified.24 Groups of countries with genetically similar populations and comparable living standards share the same Arcadian normal, defined as the within-group lowest age-standardised mortality rate for each cause of death. From this, potentially avoidable mortality and feasible minimum can be estimated. The main shortcomings of this approach are21: it does not take into account each country's exposure-specific profile, it is not disease-specific, and it groups countries according to a non-comprehensive approach (only genetic profile and living standards), not considering differences regarding other relevant factors. For future research on this topic, it would be of interest that new approaches were developed as a combination of the four above mentioned methods, for example using specific relative risk of the WHO sub-regions together with a gross domestic product (GDP)-based country selection. Studies that tried to estimate intangible costs have been published only recently.6,17,19 Others have preferred to not include intangible costs in their estimation.7,23 A less demanding and more flexible and much more widespread approach is to convert the various health impacts into a common health unit, and then apply a fixed monetary value to each unit. QALY have been proposed as such a measure7, but it does not exist such a general agreement on the appropriate monetary value of QALY (WHO 2009). More details on both the revealed valuation and the stated preference approaches, as well as on the value of QALY can be found on cost-benefit and cost-utility analysis literature. The literature on the social costs of illegal drugs contains a wide variety of proposals regarding the categories and sub-categories that should be included in the matrix of costs. The most common types of costs included are5: healthcare and welfare costs, productivity costs, criminal justice costs, and other costs. Criminal justice costs due to drug use refer to a broad and complex domain, although two sub-categories can be identified5: those that are directly related to the activities aimed at combating and preventing criminal activities connected to illegal drug use; And drug crime victims’ losses, which are mainly connected to the time lost, and related loss in work productivity, experienced by those who are victims of drug-related crime. Other costs include the costs which are not strictly related to those previously described, such as property losses due to crime caused by substance use. This overview has allowed the analysis of the advantages and shortcomings of this domain's most diffuse methods and highlights the absence of a comprehensive approach in this field. The current debate on methods for assessing drugs’ social cost would significantly benefit from the identification of new estimation frameworks that, taking into account the mentioned shortcomings, can represent standards for guaranteeing reliability and rigour of future illegal drugs’ social cost estimation. With this regard, two analytical frameworks for the estimation of the social cost of drugs for future research are provided (Table 3). Proposed frameworks for the estimation of the social cost of drugs. COI as the reference conceptual framework. Arcadian normal or exposure-based comparator methods for feasible minimum. Treatment for substance use and prevention and research costs (healthcare costs), premature mortality and loss of employment/productivity (productivity costs), and criminal justice costs (law enforcement costs). This framework includes non-controversial costs, using data generally available in public datasets. Existing research that does not comply with this framework should be carefully revised. The second proposed framework represents an ideal approach for estimating the social cost of illegal drugs, as its application would produce the most comprehensive estimations. The higher level of comprehensiveness comes at the price of a higher risk of error, as the framework requires additional assumptions with respect to the previous approach. For this reason, this second framework can also be considered as a guide for methodological and data collection improvements in the field. Utility valuation methods as the conceptual framework, which would allow the most reliable calculation of direct costs, intangible costs and relevant private costs. Epidemiological-distributional approach, which allows the most reliable calculation of feasible minimum. “Willingness to pay” approach for the calculation of intangible costs and other cost categories for which there is lack of available data. Both prevalence and incidence-based approaches. If taken as complementary, they would offer a comprehensive time horizon perspective, including past, present and future costs. All the cost categories presented above. The literature on the social cost of illegal drugs is characterized by a lack of agreement regarding the most appropriate methods for addressing the estimation.5,7,21 The review confirms the spectrum of methodological opportunities available.30 Researchers must take into account the benefits and shortcomings of each component and decide on a framework according to the research purposes and data availability. The LEADER project aims at contributing to developments in illegal drugs social cost estimation methodologies.10 More than merely filling a theoretical gap, the project is aimed at strengthening current practices in the field in order to support the role of social cost as a tool for policy-makers. In fact, a practical problem that is directly related to the absence of an established methodology is the variability of estimations regarding the social cost of drugs and the impossibility of defining a reliable estimation, neither at the single drug, class of drug or at a country level. This has implications regarding the definition and prioritization of the interventions aimed at reducing the impact of illegal drugs. Until an illegal drug consumption cost exercise uses a reliable theoretical framework in order to identify and place value on all relevant costs, the possibility of comparing interventions in this field will be limited. The objective of this paper is to shed some light on this field, and to propose frameworks that could be helpful and informative tools for policy-makers. Vincenzo Alberto Vella was the person who conceived the work, carried out the review and critically reviewed the writing of the article. Anna García-Altés assisted in the review and has critically reviewed the writing of the article. Lidia Segura and Nuria Ibáñez interpreted the results and helped with the writing. Joan Colom has led the project and the conception of the article. L. Degenhardt, H.A. Whiteford, A.J. Ferrari, et al. Global burden of disease attributable to illicit drug use and dependence: findings from the Global Burden of Disease Study 2010. Drug abuse, alcohol and marihuana problems: errors, costs and concepts. Substance abuse programs and Proposition 13: opportunities for change. Calculating the social cost of illicit drugs. Methods and tools for estimating the social cost of the use of psychotropic substances. A. García-Altés, J.M. Ollé, F. Antonanzas, et al. The social costs of illegal drugs in Spain. Lenhart O. The impact of minimum wages on population health: evidence from 24 OECD countries. Eur J Health Econ. 2016 Nov 14. [Epub ahead of print]. P. Barrio, J. Reynolds, A. García-Altés, et al. Social costs of illegal drugs, alcohol and tobacco in the European Union: a systematic review of existing publications. M.T. French, J.V. Rachal, R.L. Hubbard. Conceptual framework for estimating the social cost of drug abuse. Economic costs of drug abuse: financial, cost of illness, and services. J.C. Whitehead, S.K. Pattanayak, G.L. Van Houtven, et al. Combining revealed and stated preference data to estimate the nonmarket value of ecological services: an assessment of the state of the science. Value of life and behavior toward health risks: an interpretation of social capital. J. Rehm, B. Taylor, J. Patra, et al. Avoidable burden of disease: conceptual and methodological issues in substance abuse epidemiology. Armstrong BK. Morbidity and mortality in Australia: how much is preventable? In: McNeill J, et al., editors. A textbook of preventive medicine. Melbourne: Edward Arnold; 1990. p. 1-12. A.J. Baxter, A.J. Ferrari, H.E. Erskine, et al. The global burden of mental and substance use disorders: changes in estimating burden between GBD1990 and GBD2010. X. Xie, J. Rehm, E. Single, et al. Methodological issues and selected economic consequences of substance abuse in Ontario. Lives, life-years and willingness to pay. X. Xie, J. Rehrn, E. Single, et al. The economic costs of illicit drug use in Ontario, 1992. E. Single, L. Robson, X. Xie, et al. The economic costs of alcohol, tobacco and illicit drugs in Canada, 1992.